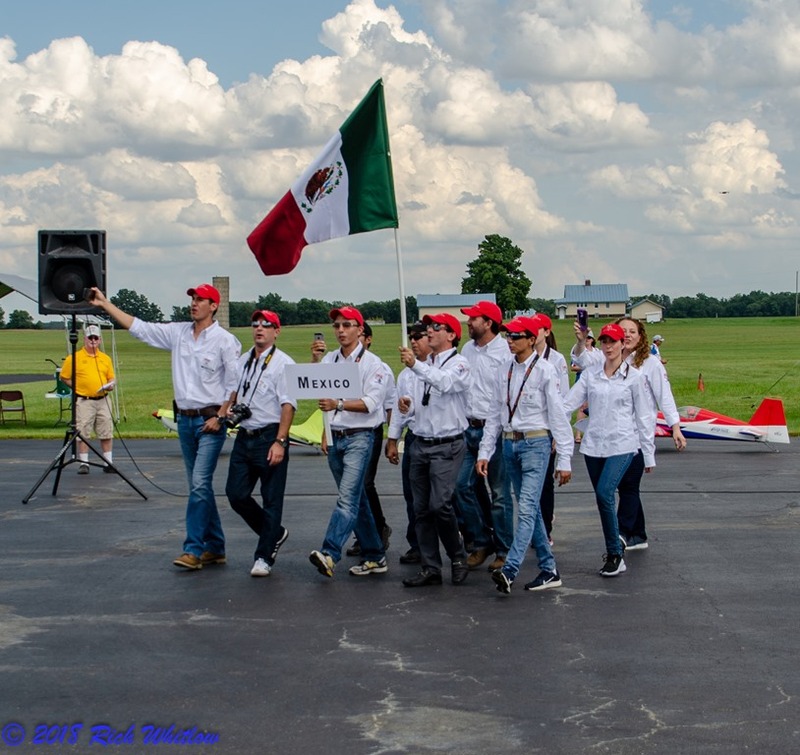 18 countries have gathered at the AMA National Site I Muncie, Indiana to compete in the 2018 IMAC World Championships. Everyone who has arrived, welcomed each other and got acquainted (and re-acquainted) with old and new friend from around the world. Also, over 35 individuals have come to give their time to make sure that this 2018 IWC is the best-ever. However, we mourn the fact that one of our brothers will not make that trip. Allen Eklund passed away unexpectedly, recently and we mourn the fact that he will not be here to enjoy this great event with all of us, his brothers in IMAC. You will notice a small flag being flown in front of Phil and Rhonda Vance’s trailer. 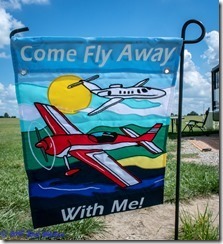 It says, “Come Fly Away With Us”. 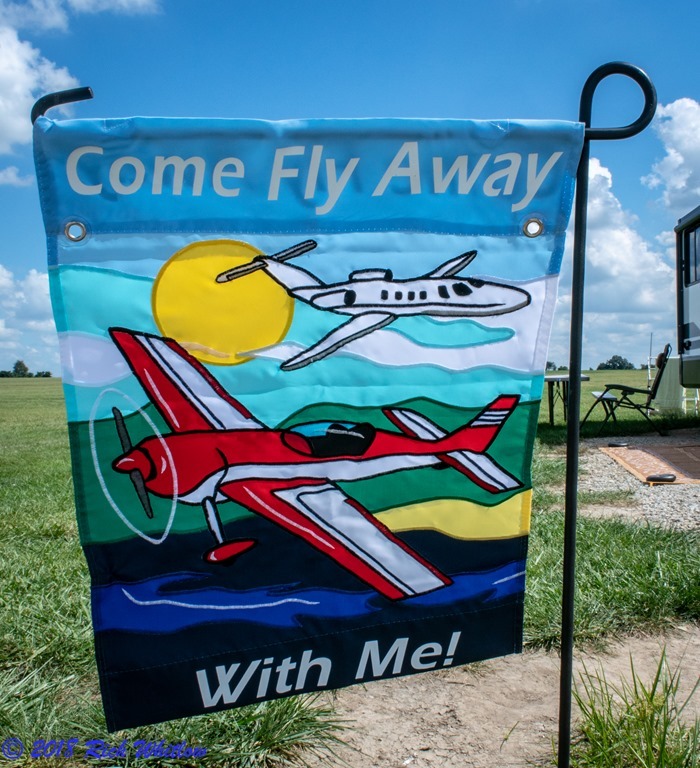 This flag is a tribute to their friend, and IMAC’s friend Allen Eklund. Allen will be missed! 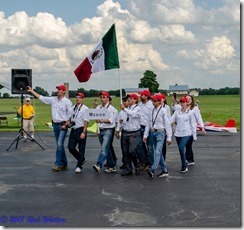 Tuesday afternoon, all gathered at Site 3 Runway and each country got to present their colors and National Anthem to all. It was a great time for everyone to cheer for their country and team mates. They also had the opportunity to cheer each other. Especially, as many have travelled long, long distances and some without companions, just to be with us and compete at this great event. So, we start our competition. We all need to take time to cherish our friends gathered here and cherish the memories of those who could not make it. Especially our missing brother, Allen Eklund.